Formerly, I did also more theoretical work in the areas of online algorithms, randomized algorithms and probabilistic analysis. I am currently involved in the following projects. This ecMath project studies network flow problems with the additional constraint that the flows in the network must be acyclic. The motivation for this structure are potential-driven nonlinear network flow problems which model for instance gas and water networks. Exploiting the discrete structure resulting from the combinatorial interplay of the flow conservation in networks with the acyclicity constraint will allow us to better tackle this class of mixed integer nonlinear programs (MINLPs) arising in many applications. This is a subproject of the SFB Transregio 154: Mathematical Modelling, Simulation and Optimization using the Example of Gas Networks focussing on models and algorithms for treating the operation of complex compressor stations in large gas networks. The main goal is to devise new techniques for handling the nonconvex feasible sets of compressor station operating points in MILP and MINLP models. This projects is a close cooperation with Open Grid Europe (OGE), Germany's biggest gas transmission network operator. Funded by OGE, we deal with many issues regarding the analysis and optimization of gas transmission networks. The handling capacity is a central notion for developing and planning elevator systems. It is yet unclear how much it can be increased by advanced elevator technology, like destination call systems, in which a passenger enters his destination floor already at he landing. Similarly, there is only liitle known on how to operate a group of elevators to obtain an energy-efficient operation, yet offering a certain service quality. This project aims at developing capacity-optimizing and energy-efficient control algorithms to be used in real-world elevator controls. The goal of this project was to devise new measures for the performance of online algorithms which overcome the disadvantages of plain competitive analysis. We introduced a new approach for the probabilistic analysis of online algorithms based on stochastic orders, in particular the (usual) stochastic dominance order. Using this new approach, we were able to give a theoretical explanation why certain algorithms perform better than others for the online bin coloring problem and the paging problem. Time optimization for elevator group control. Low waiting and traveling times for passengers are the most important factors for the quality of service of elevator systems in large buildings. We are investigating new algorithms for a new control paradigma for elevators: Instead of specifying the direction of the ride, a passenger specifies the exact destination floor. The question is how this additional information can be exploited to obtain a better quality of service. We have to take into account the coordination of a group of elevators, which must be scheduled on a very limited computational device. In this project we develop the core algorithm for an automated dispatching system used by the german automobile club ADAC: The club operates a fleet of service vehicles ("Gelbe Engel") which have to be assigned in online fashion and real-time to havarists. A prototype has already been implemented and shows a good performance in practice. Thorsten Koch, Benjamin Hiller, Marc Pfetsch, Lars Schewe: Evaluating Gas Network Capacities . SIAM, MOS-SIAM Series on Optimization, 2015. Benjamin Hiller: Online Optimization: Probabilistic Analysis and Algorithm Engineering . Verlag Dr. Hut, München, 2012. Pia Domschke, Martin Groß, Falk M. Hante, Benjamin Hiller, Lars Schewe, Martin Schmidt: Mathematische Modellierung, Simulation und Optimierung von Gastransportnetzwerken . gwf - Gas|Erdgas, volume 156, no. 11, pages 880-885, 2015, 2015. Marc E. Pfetsch, Armin Fügenschuh, Björn Geißler, Nina Geißler, Ralf Gollmer, Benjamin Hiller, Jesco Humpola, Thorsten Koch, Thomas Lehmann, Alexander Martin, Antonio Morsi, Jessica Rövekamp, Lars Schewe, Martin Schmidt, Rüdiger Schultz, Robert Schwarz, Jonas Schweiger, Claudia Stangl, Marc C. Steinbach, Stefan Vigerske, Bernhard M. Willert: Validation of Nominations in Gas Network Optimization: Models, Methods, and Solutions . Optimization Methods and Software, volume 30, issue 1, pages 15-53 , 2014. Also available as ZIB-Report 12-41 . Armin Fügenschuh, Björn Geißler, Ralf Gollmer, Christine Hayn, René Henrion, Benjamin Hiller , Jesco Humpola, Thorsten Koch, Thomas Lehmann, Alexander Martin, Radoslava Mirkov, Antonio Morsi , Jessica Rövekamp, Lars Schewe, Martin Schmidt, Rüdiger Schultz, Robert Schwarz, Jonas Schweiger , Claudia Stangl, Marc C. Steinbach, Bernhard M. Willert: Mathematical Optimization for Challenging Network Planning Problems in Unbundled Liberalized Gas Markets . Energy Systems, volume 5, issue 3, pages 449-473 , 2013. Also available as ZIB-Report 13-13 . Benjamin Hiller, Torsten Klug, Andreas Tuchscherer: An Exact Reoptimization Algorithm for the Scheduling of Elevator Groups . Flexible Services and Manufacturing Journal, volume 26, issue 4, pages 585-608 , 2013. Also available as ZIB-Report 12-43 . Benjamin Hiller, Tjark Vredeveld: Probabilistic alternatives for competitive analysis . Computer Science - Research and Development, volume 27, issue 3, pages 189-196 , 2012. Also available as ZIB-Report 11-55 . Sebastián Marbán, Ruben van der Zwaan, Alexander Grigoriev, Benjamin Hiller, Tjark Vredeveld: Dynamic pricing problems with elastic demand . Operations Research Letters, volume 40, issue 3, pages 175-179 , 2012. Benjamin Hiller: Online Optimization: Probabilistic Analysis and Algorithm Engineering . OR News, volume 40 , 2010. Benjamin Hiller, Sven O. Krumke, Jörg Rambau: Reoptimization Gaps versus Model Errors in Online-Dispatching of Service Units for ADAC . Discrete Applied Mathematics (Special Issue for the Latin American Conference on Combinatorics, Graphs and Applications (LACGA 2004), volume 154, issue 13, pages 1897-1907 , 2006. Benjamin Hiller, René Saitenmacher, Tom Walther: Analysis of operating modes of complex compressor stations . Operations Research Proceedings 2016, pages 251-257, 2017. Also available as ZIB-Report 16-61 . Jakob Witzig, Gerald Gamrath, Benjamin Hiller: Reoptimization Techniques in MIP Solvers . Proceedings of the 14th International Symposium on Experimental Algorithms 2015, LNCS 9125, pages 181-192, 2015. Also available as ZIB-Report 15-24 . Benjamin Hiller, Torsten Klug, Jakob Witzig: Reoptimization in branch-and-bound algorithms with an application to elevator control . Proceedings of the 12th International Symposium on Experimental Algorithms 2013, LNCS 7933, pages 378-389, 2013. Also available as ZIB-Report 13-15 . Alexander Martin, Björn Geißler, Christine Hayn, Antonio Morsi, Lars Schewe, Benjamin Hiller, Jesco Humpola, Thorsten Koch, Thomas Lehmann, Robert Schwarz, Jonas Schweiger, Marc Pfetsch, Martin Schmidt, Marc Steinbach, Bernhard Willert, Rüdiger Schultz: Optimierung Technischer Kapazitäten in Gasnetzen . VDI-Berichte, Band 2157, Seiten 105-115, 2011. Also available as ZIB-Report 11-56 . Armin Fügenschuh, Benjamin Hiller, Jesco Humpola, Thorsten Koch, Thomas Lehmann, Robert Schwarz, Jonas Schweiger, Jacint Szabó: Gas Network Topology Optimization for Upcoming Market Requirements . IEEE Proceedings of the 8th International Conference on the European Energy Market 2011 (EEM11), pages 346-351, 2011. Also available as ZIB-Report 11-09 . Benjamin Hiller, Torsten Klug, Andreas Tuchscherer: Improved Destination Call Elevator Control Algorithms for Up Peak Traffic . Operations Research Proceedings 2010, 2011. Benjamin Hiller, Torsten Klug, Andreas Tuchscherer: Improving the performance of elevator systems using exact reoptimization algorithms . Models and Algorithms for Optimization in Logistics (Dagstuhl Seminar Proceedings), 2009. Also available as ZIB-Report 09-05 . Sleman Saliba, Sven O. Krumke, Benjamin Hiller, Andreas Tuchscherer: Randomized online algorithms for the dynamic multi-period routing problem . 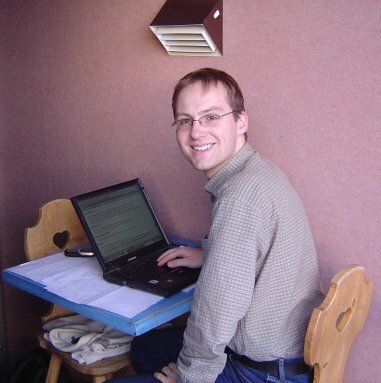 9th Workshop on Models and Algorithms for Planning and Scheduling Problems, 2009. Also available as ZIB-Report 09-03 . Benjamin Hiller, Tjark Vredeveld: Probabilistic analysis of Online Bin Coloring algorithms via Stochastic Comparison . Proceedings of ESA 2008, pages 528-539, 2008. Also available as ZIB-Report 08-18 . Benjamin Hiller, Andreas Tuchscherer: Real-Time Destination-Call Elevator Group Control on Embedded Microcontrollers . Operations Research Proceedings 2007, pages 357-362, 2008. Also available as ZIB-Report 07-26 . Nina Geißler, Uwe Gotzes, Benjamin Hiller, Jessica Rövekamp, Thorsten Koch: Regulatory rules for gas markets in Germany and Europe . In: Evaluating Gas Network Capacities (Thorsten Koch, Benjamin Hiller, Marc Pfetsch, Lars Schewe), SIAM, 2015. Jesco Humpola, Armin Fügenschuh, Benjamin Hiller, Thorsten Koch, Thomas Lehmann, Ralf Lenz, Robert Schwarz, Jonas Schweiger: The specialized MINLP approach . In: Evaluating Gas Network Capacities (Thorsten Koch, Benjamin Hiller, Marc Pfetsch, Lars Schewe), SIAM, 2015. Benjamin Hiller, Jesco Humpola, Thomas Lehmann, Ralf Lenz, Antonio Morsi, Marc E. Pfetsch, Lars Schewe, Martin Schmidt, Robert Schwarz, Jonas Schweiger, Claudia Stangl, Bernhard M. Willert: Computational results . In: Evaluating Gas Network Capacities (Thorsten Koch, Benjamin Hiller, Marc Pfetsch, Lars Schewe), SIAM, 2015. Benjamin Hiller, Christine Hayn, Holger Heitsch, René Henrion, Hernan Leövey, Andris Möller, Werner Römisch: Methods for verifying booked capacities . In: Evaluating Gas Network Capacities (Thorsten Koch, Benjamin Hiller, Marc Pfetsch, Lars Schewe), SIAM, 2015. Eric Berberich, Matthias Hagen, Benjamin Hiller, Hannes Moser: Experiments . In: Algorithm Engineering (Matthias Müller-Hannemann and Stefan Schirra, editors), LNCS 5971, Springer, 2010. Markus Geyer, Benjamin Hiller, Sascha Meinert: Modeling . In: Algorithm Engineering (Matthias Müller-Hannemann and Stefan Schirra, editors), LNCS 5971, Springer, 2010. Martin Grötschel, Benjamin Hiller, Andreas Tuchscherer: Structuring a Dynamic Environment: Combinatorial Online Optimization of Logistics Processes . In: Emergence, Analysis and Evolution of Structures - Concepts and Strategies Across Disciplines (Klaus Lucas and Peter Roosen, editors), Springer, 2010. Preliminary version available as ZIB-Report 07-36 . Here we list only those reports that have not (yet) been publised elsewhere. Pia Domschke, Benjamin Hiller, Jens Lang, Caren Tischendorf: Modellierung von Gasnetzwerken: Eine Übersicht . Technische Universität Darmstadt, Preprint 2717, 2017. Benjamin Hiller, René Saitenmacher, Tom Walther: Polyhedral 3D Models for compressors in gas networks . ZIB-Report 17-66, 2017. Benjamin Hiller, Tjark Vredeveld: Stochastic dominance analysis of Online Bin Coloring algorithms . ZIB-Report 12-42, 2012. Benjamin Hiller, Tjark Vredeveld: On the optimality of Least Recently Used . ZIB-Report 08-39, 2008. Benjamin Hiller: Probabilistic Competitive Analysis of a Dial-a-Ride Problem on Trees Under High Load . ZIB Report 05-56, 2005. Benjamin Hiller: Das Warten der Anderen . Siegerbeitrag im Fach Mathematik für den Klaus-Tschira-Preis 2010. Veröffentlicht in einer Sonderausgabe zusammen mit Bild der Wissenschaft November 2010. Benjamin Hiller: Bad guys are rare: Probabilistic analysis of an elementary Dial-a-Ride problem . Diplom thesis TU Ilmenau, 2004. 03/2017 Award for Outstanding Intellectual Contributions to the Review Process by INFORMS Journal on Computing. 07/2016 EURO Excellence in Practice Award 2016 (as a member of the FORNE project). 10/2010 Klaus Tschira Preis für verständliche Wissenschaft. since 05/2014 Also with atesio, a ZIB spinoff company, to transfer our research results on gas networks in industrial practice. 01/2012-04/2014 Leader of the newly established Energy working group at Zuse Institute Berlin. 12/2009 Received my PhD from Technical University Berlin. 2/2008-4/2008 DAAD-funded research stay at Maastricht University. since 9/2004 Scientific assistant at Zuse Institute Berlin. 2/2003-8/2004 Student assistant at Zuse Institute Berlin. 9/2002-1/2003 Internship at Zuse Institute Berlin. 1999-2004 Studies of Computer Science at Technical University of Ilmenau. 1998 Received my A-levels at Georg-Samuel-Dörffel-Gymnasium Weida.